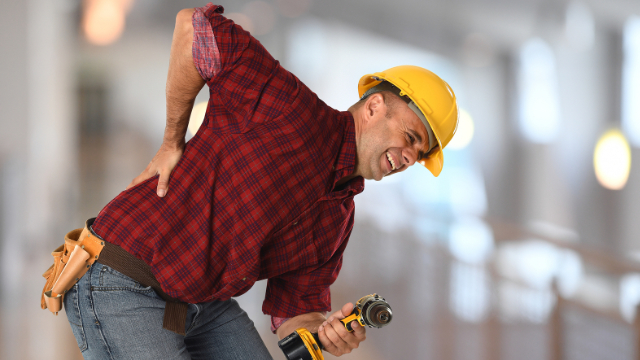 There are very few guarantees in life but chances are you’ll experience back pain at some point in your lifetime, as about 8 out of 10 people will deal with it at least once. The type of back pain you may experience will depend on your age, habits, and health, and it’s important to realize that some cases can be avoided while others are completely out of your control. The spine consists of 33 bones called vertebrae, which are stacked on top of one another and interlocked to form the spinal column. The vertebrae are connected by small joints that allow the spine to move in various directions, and in between each vertebra is a structure called an intervertebral disc. These discs are filled with a jelly-like substance and their purpose it to absorb shock and prevent these bones from rubbing against each other. Together, these features allow you to rotate and turn your torso, and they help to make the spine one of the sturdiest structures in the body. But as with every other body part, there are many different things that can go wrong within the back, and the result is often pain. Between sports, playing with friends, and due to their seemingly never-ending source of energy, most kids lead a pretty active lifestyle. As a result of the constant activity, their bodies can take quite a beating, which are very resilient but still have a breaking point. When pushed too far, the result can be back pain, which is more common in children and adolescents than you might think. Most of these cases are due to strains and sprains of the muscles and ligaments of the back, which can occur either from a single injury or over time after continuing to abuse the back. In particular, children that participate in various sports year-round without enough time to recover may have a higher risk for injuries like back pain. There’s also been an increase in adolescent back pain related to being overweight, as the extra weight puts stress on the immature spine and throws off posture, which causes the lower back to work harder to stay upright. While these types of problems are possible throughout life, in young adults, back pain is more commonly associated with other types of resting behaviors. Many individuals in this age group spend a great deal of time on screens such as laptops, tablets, and smartphones. Hunching over and staring at a screen with poor posture for extended periods of time can strain the muscles attached to the back and the result is often lower back pain. These are also examples of habits that can be changed to prevent pain from occurring. All of these back-related issues remain likely for older adults over age 65, but other conditions like osteoarthritis and osteoporosis become even more common in later life as well. Osteoarthritis occurs when individuals lose some of the protective cartilage surrounding the ends of the vertebrae, which allows them to rub against one another and often results in pain. Osteoporosis is a condition that causes bones to become weak and brittle, which increases the chances of fractures in the back. Further adding to the potential for back pain in older age is the loss of flexibility that many individuals experience. Reduced flexibility often has a negative impact on activity levels, which can create a vicious cycle of less movement and a higher risk for injuries like back pain. So as you can see, back pain can occur at any age, and the risk for it increases as we get older. While this may not be the most encouraging piece of news, the most important thing to understand is that you have the power to influence your risk based on the habits and behaviors that define your life.